It seems that slowly brands are finding it to force users to swallow their software and designs they want, and are really starting to pay attention to feedback. 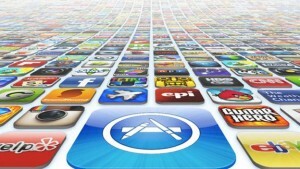 One of the most frequent comments was to erase applications preinstalled on iPhone. For users who have a phone with little memory storage, it was an authentic martyrdom put to delete photos and videos to install new applications or operating systems. Instead, may desacerse of applications that came preinstalled and had no thought of ever use. That could change with iOS in September. So far, these applications could not be removed. However much one would like desacerse of them were rooted in the operating system. And it did not matter that one was not going to ever use in your life “Numbers” because the case is not the you’d be able to uninstall. Fortunately, Tim Cook told in an interview Buzzfeed being valued allow uninstall some of the applications that come standard. However, it might not be as simple as pressing a tiny X. “There are some applications that are connected to other services of the iPhone. If you uninstall, could cause problems with other features of the phone “. The solution could be to remove the preinstalled applications that are not directly related to the development of the operating system. We talked about my least used by users, such as Bolsa, tips or climate. Some of these apps had passed through the hands of users without ever arrived to use during the life of your phone. And it may not seem like anything serious, but it is a first step. The fact that Apple is considering removing some of its prerogatives is another demonstration of Tim Cook’s style does not seem at all to Steve Jobs. And that’s not a bad thing at all.